The SF-600 is a portable rechargeable digital satellite finder with an LCD screen which displays graphical bars showing both signal strength and quality, allowing quick, reliable and easy set up of portable satellite dishes. 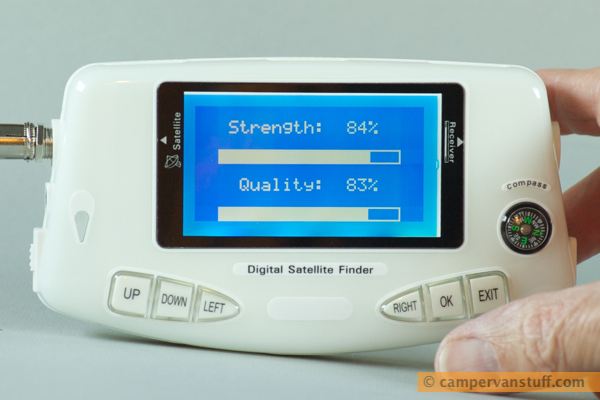 The quality bar confirms that you are locked on to the satellite which you have selected. Set up your dish and tripod on the spot, without needing a connection back to the receiver in your motorhome or caravan. Plus - new lower price! The unit is supplied already configured with a choice list of four satellites, including the Astra 2 satellite which serves up all the UK channels. Its built-in lithium battery will power the unit and connected satellite dish for up to 4 hours before requiring charging using the provided mains charging adaptor (the finder will also operate directly from the adaptor whist being charged). 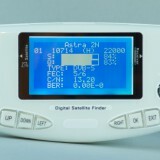 This design means that there is no need to connect a satellite receiver when setting up the dish: you need only connect the SF-600 to the dish LNB via standard satellite cable and F connector. 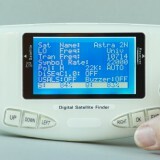 Then switch on the unit, select the satellite you want to find and then move the dish to search the right area of sky. The finder's signal strength bar will display a reading whenever it encounters a satellite signal but unless there is also a reading in the vital quality bar it is the wrong satellite - the quality bar will only respond to a signal from the satellite which you have chosen. Once identified, you can easily tweak the elevation and rotation of the dish to obtain the best quality. 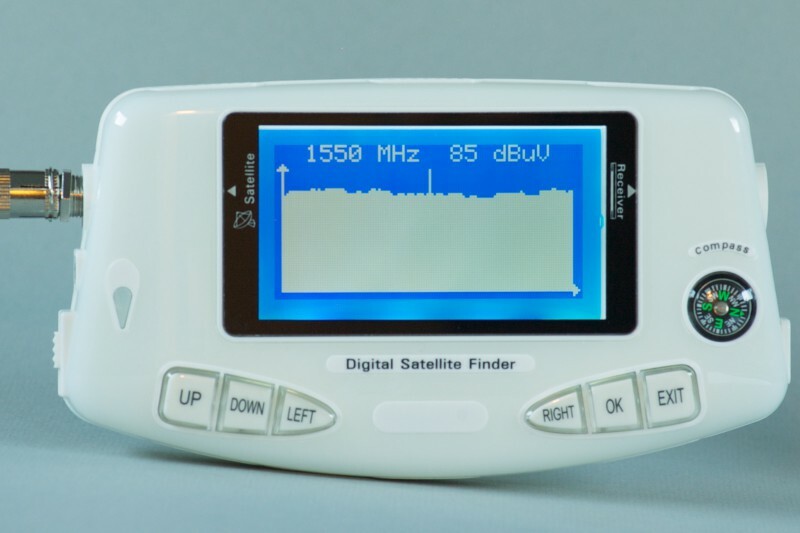 Location of the correct satellite is also confirmed by the sounding of a signal alert buzzer - this will only operate when the 'quality' bar is showing a reading. The buzzer can be set to on or off by default, in the settings for individual satellites. 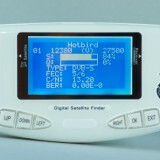 Regardless of which default is set, the user can toggle the buzzer on or off- whilst in any screen which is displaying the signal bars - simply by pressing the OK key. We tested the SF600 to see what it provides and how easy it is to use. It has many functions that most users might not need but the main point is that it is very easy to use for everyday setting up of a portable dish and will only confirm when you have found the correct satellite - unlike basic finders which respond to signal for any satellite, even if it is the wrong one. What's more the SF600 is priced at a level which now makes easy dish setting up more affordable - especially if you often find it a time-consuming and frustrating chore. 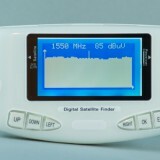 Connect the meter to your dish via F-Connector and standard satellite cable (cable is not supplied). 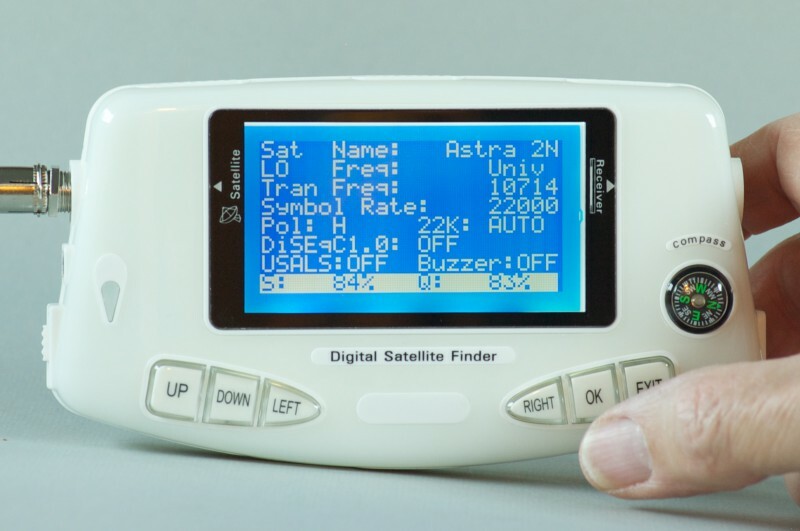 Switch on the unit - you don't need to connect anything else, the meter will supply the power for the dish LNB, and no receiver is needed in order to set up the dish. Select either the Find or List menu item (depending on which bar display and amount of information you prefer to see). 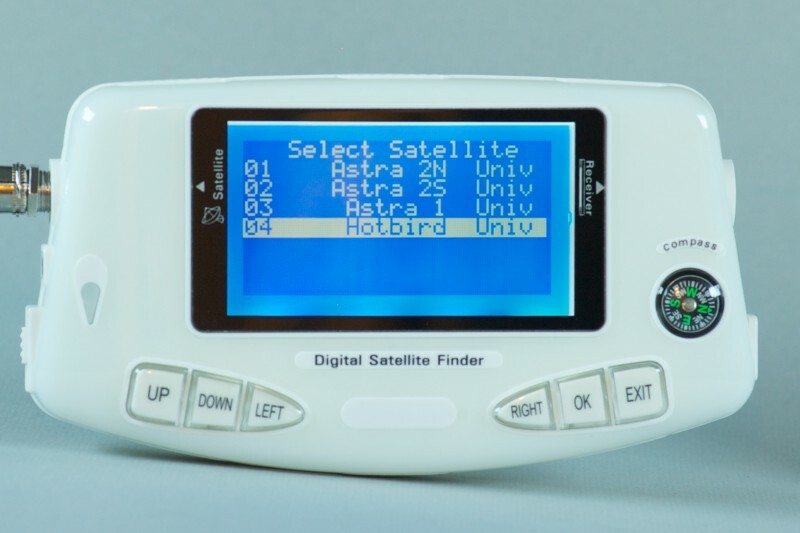 Select the satellite - or leave it at the default Astra 2N for UK channels. Press the OK button until you see the screen with the signal and quality bars. You can now adjust your dish until you obtain a good result in the quality bar. Secure the dish in position so that it will not move after you switch off and disconnect the meter. The dish can now be connected through to your satellite receiver. Generally the easiest starting point is to set the elevation of the dish, using the scale which is always provided on the dish structure, so that it is correct for your location. 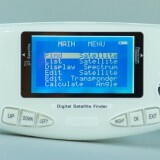 Then rotate the dish slowly from left to right in the direction where the satellite will be located. There are many sources of information about the exact elevation and bearing of each satellite (and also the skew setting for the LNB), from any particular place you might be. 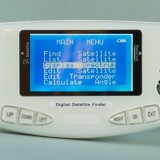 Note that optionally the meter can be connected in-line with the dish and a satellite receiver, although the meter will not be powered by the satellite receiver. After finding is completed, exit the finding screens on the meter to allow the satellite signal to pass through the meter and to your receiver and TV, where you will be able to view the channels. However the meter must remain switched on and will continue to use its own internal battery power unless you also connect it to its charger / mains adaptor. In most circumstances it's going to be simpler to switch off the meter and put it away - now just couple the satellite receiver directly to the dish coax cable. Click an image below to view larger photos with captions; you can navigate through the pictures or view as a slideshow. 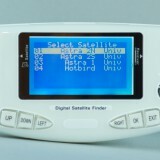 Works out of the box to find the correct satellite for UK TV channels. 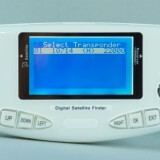 Additional satellites and transponders can be input manually. All data can be edited.